Stick the candy in a glass of water. Twiddle thumbs for 10 or 20 minutes. Check to see if the letters have floated off yet. Here’s the deal: the edible ink they use to print on the candy is not water soluble. 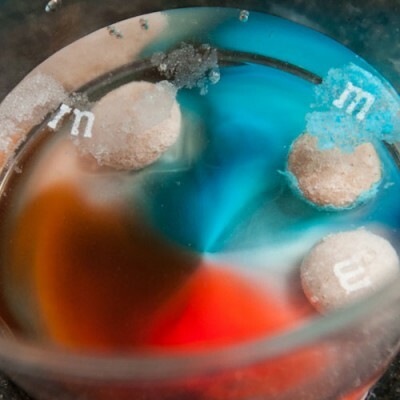 As the candy shell underneath dissolves, the letters separate and float in the water. 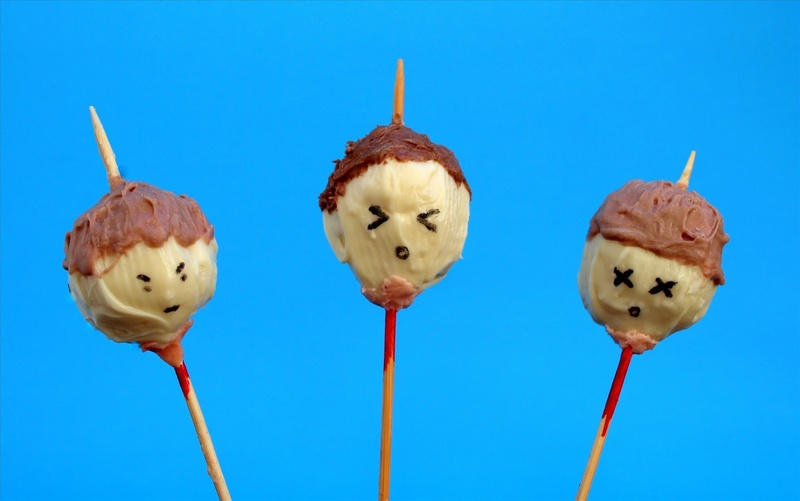 More details–as well as a few other moderately amusing candy experiments–can be found on Steve Spangler’s blog. I kept wandering around on the internet, ever hopeful. 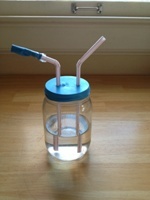 I found a site that shows how to make a model of a heart pump out of a mason jar, two straws and a balloon. 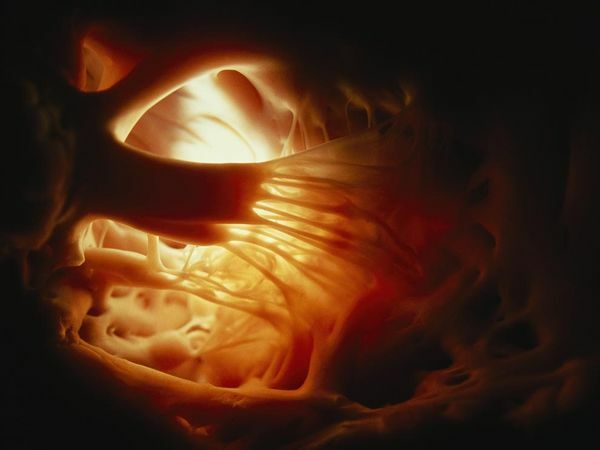 And according to the Texas Heart Organization, you can also make a stethoscope from a two-liter bottle and a toilet paper tube. I’m dubious, but I’ll try it. I was then half-heartedly looking for invisible ink, as I have heard that you can make a solution from 1 part baking soda and 1 part water. If you write with it on white paper with a Q-tip and let it dry, you can then make it visible by squeezing lemon juice onto it. Gina posted about invisible ink already, but I thought I might add to our repertoire. 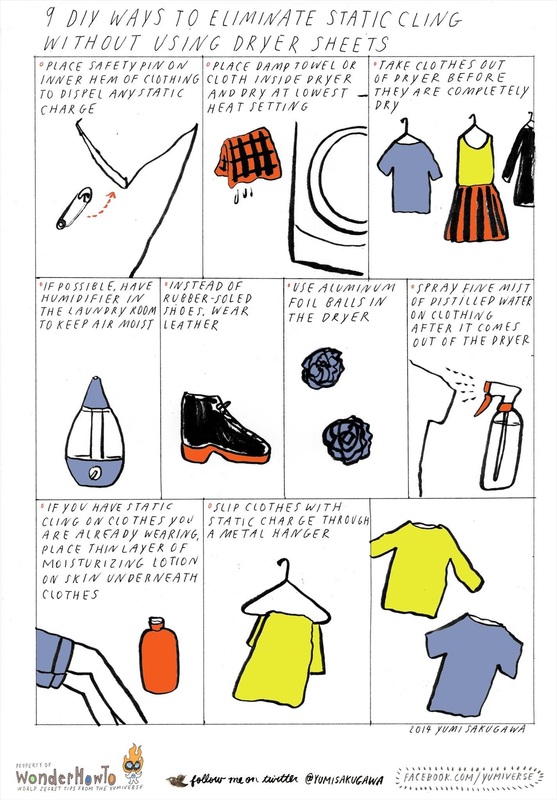 She describes nine unusual uses for a hair dryer! (Including adjusting your glasses, setting icing on a cake, and removing price stickers. She explains how to unclog a toilet without a plunger; how to stay awake when you’re tired (all of the obvious plus accupressure points, sniffing peppermint oil, and embarrassing breathing techniques); how to make sake; how to make a wheat paste poster. What else might you need to know, really? And did I mention the adorable drawings? Previous Previous post: Nothing Spreads Holiday Blessings like Two-Day Shipping.